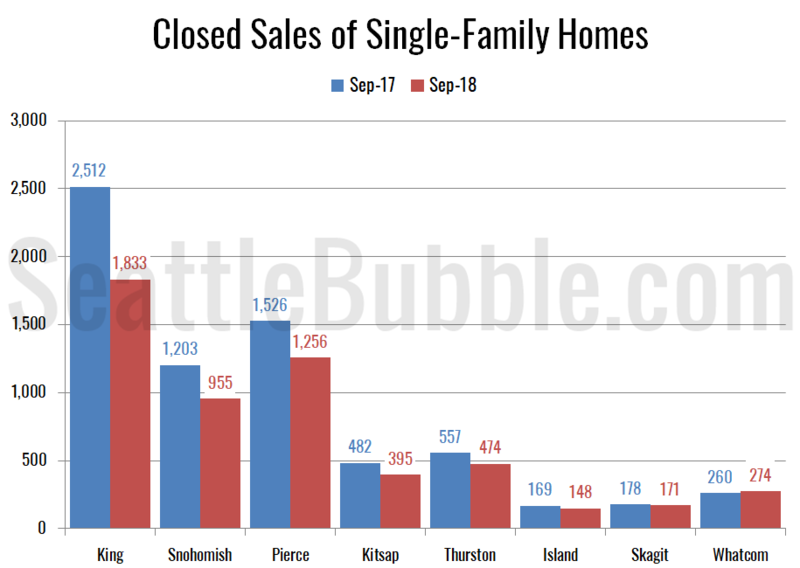 We know that inventory is growing in King County, but let’s look at broader Puget Sound area. 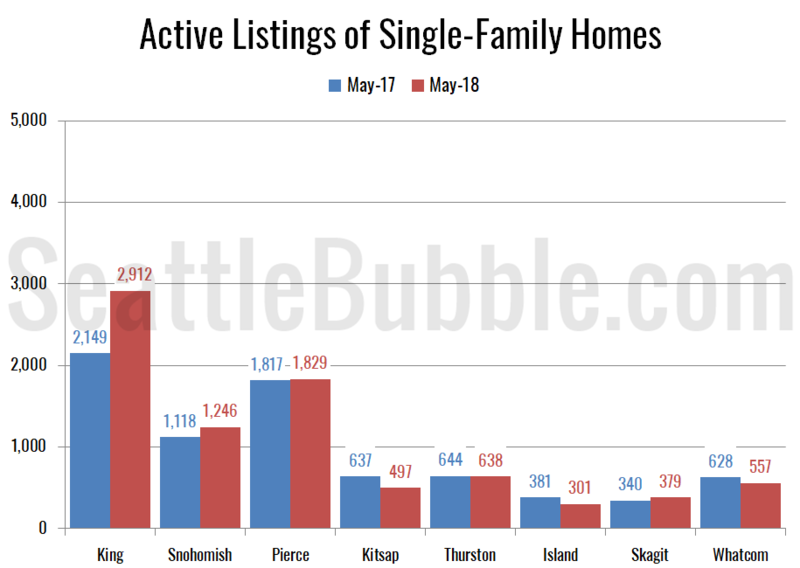 Now that May is over, let’s update our “Around the Sound” statistics for King, Snohomish, Pierce, Kitsap, Thurston, Island, Skagit, and Whatcom counties. The biggest gains in new listings and active inventory were in King County. 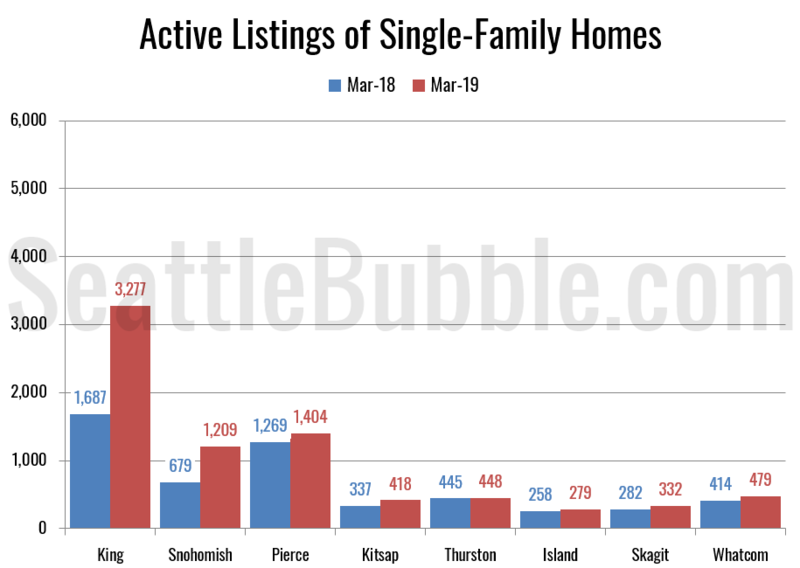 Snohomish and Pierce also saw some decent increases, but further out it’s more of a mixed bag, with some counties still seeing declining listings and inventory. 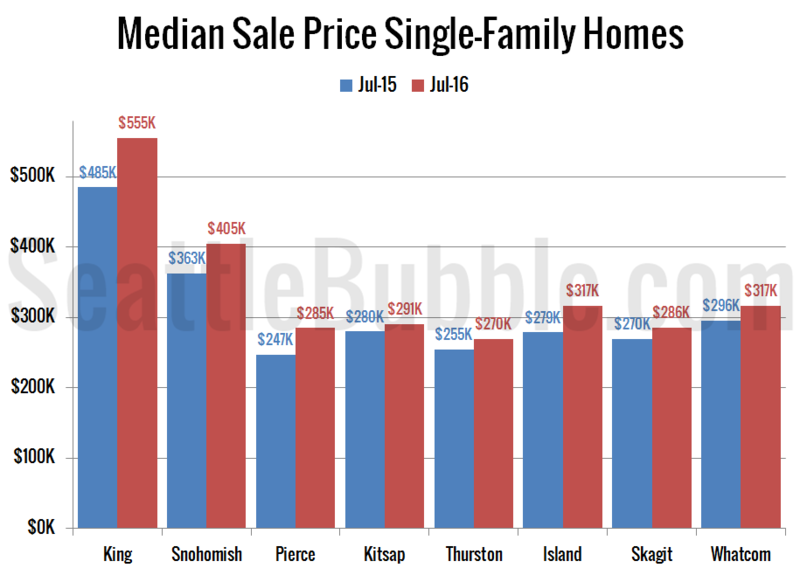 It has been a few months since we looked at the housing stats for the broader Puget Sound area. 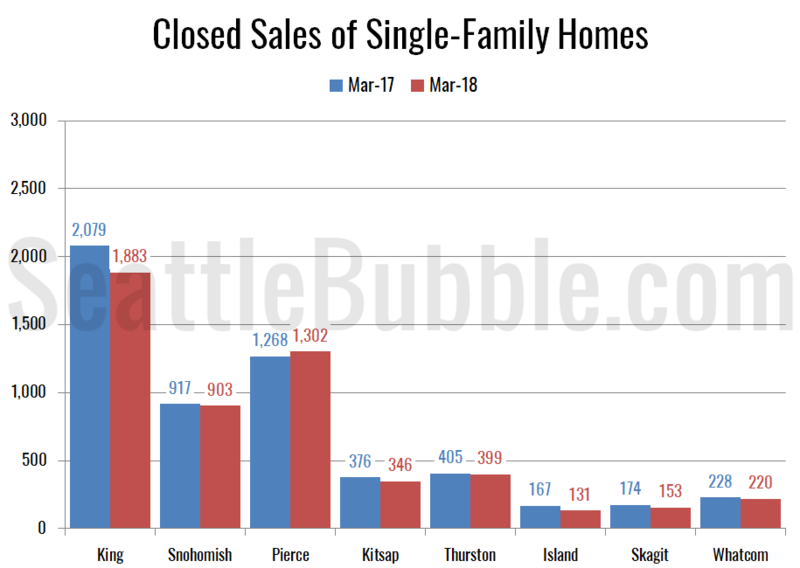 Now that the first quarter of 2018 is over, let’s update our “Around the Sound” statistics for King, Snohomish, Pierce, Kitsap, Thurston, Island, Skagit, and Whatcom counties. 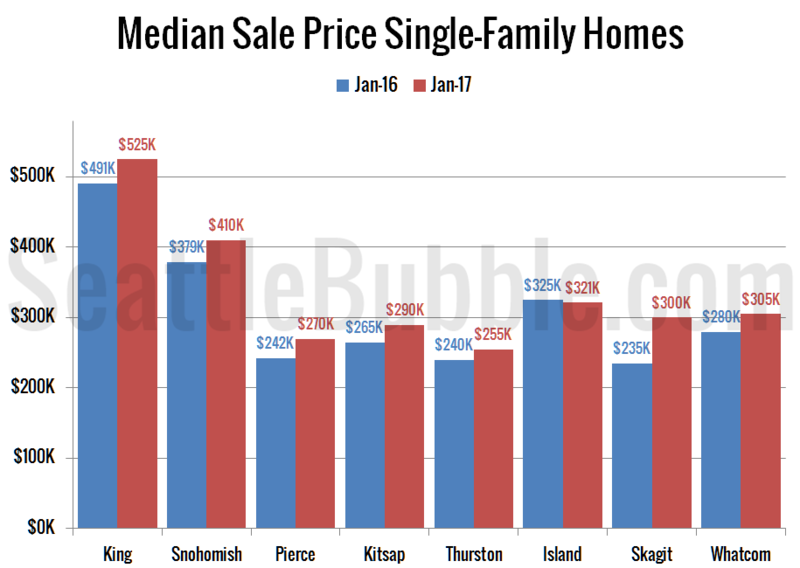 It has been quite a while since we looked at the housing stats for the broader Puget Sound area. 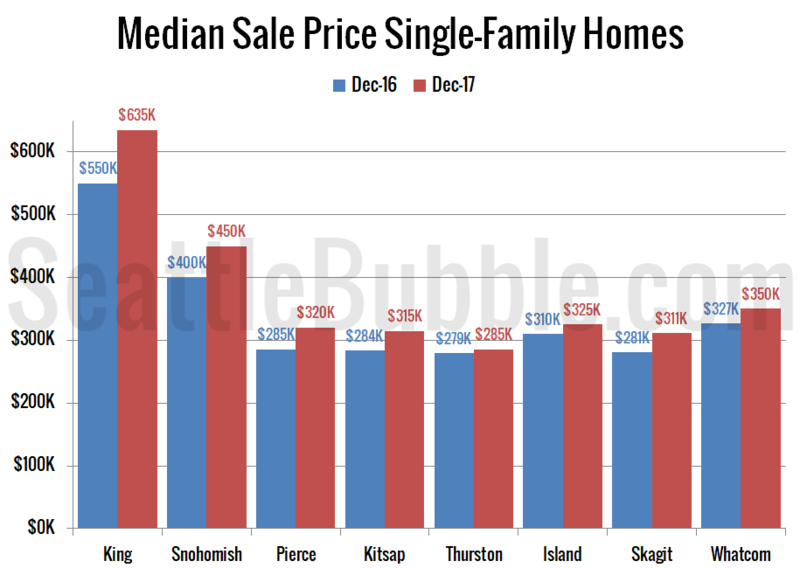 Now that 2017 is over, let’s update our “Around the Sound” statistics for King, Snohomish, Pierce, Kitsap, Thurston, Island, Skagit, and Whatcom counties.